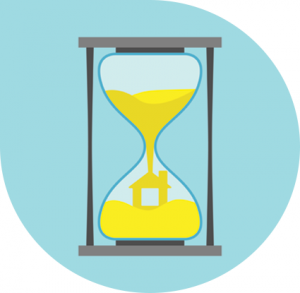 How Long Will A Residential Property Transaction Take? Conveyancing Solicitors cannot provide a definite reply when asked ‘How long will the Conveyancing Process take?’ at the beginning of a transaction. There are often many procedures in the process which make it impossible to provide an accurate response. On average however, the conveyancing for either the purchase or sale of a home can take between 6 – 12 weeks although this will vary from Solicitor to Solicitor. This is however dependent on various circumstances which can ultimately make the process longer or shorter. Hodgkinsons’ Conveyancing Solicitors attempt to ensure that there are no unnecessary delays. To ensure that your transaction is constantly moving forward it is recommended to instruct an experienced Solicitor. Here at Hodgkinsons Solicitors, Skegness, client satisfaction is our top priority and we understand the demand for quick completions therefore we aim to complete transactions in an efficient manner.